When we say cybersecurity, we immediately think hackers, spam, phishing, rogue nations, Nigerian scams, and the likes. Our mind automatically goes to the technical issues behind defending from attacks. While that certainly remains a necessary approach, cybersecurity has over the years developed into so much more than setting up a firewall. Security affects everybody, both in the corporate and consumer worlds. And within a company, it’s no longer realistic to say security is solely an IT function simply because it’s done via computers. Today, it’s crystal clear that cybersecurity is everyone’s responsibility. A while back, I wrote a blog post about the need for boards of directors to start including security experts at the table. I stand behind that post today more than ever. Security is not just an “after the fact problem” for the IT department but must become an integral part of every organization’s modus operandi. I like to refer to refineries in this respect. When you step into a refinery, the first thing you’ll notice is how the culture of safety is pervasive throughout the establishment. It isn’t just field workers who are conscious of potential problems, so too all in the plant and back office is as well. In this scenario, the only way to maintain proper safety is by ensuring no one ever does anything that can cause an accident. “Safety begins with you” is the common motto. In 2019, it’s finally starting to be clear that this concept should be applied, almost one to one, to every company, where cybersecurity is concerned. Cybersecurity starts with all personnel being aware of the issues, and understanding how a breach can be caused by the simple inadvertent click on a link inside an email. Security therefore isn’t just a technical issue, but rather a business one. And that being the case, those who run the business must then take ownership of the topic – C Level executives, board members and so forth. Security now becomes a matter of corporate governance. Discussions about security enter the boardroom with security experts present at every business meeting. Processes and best practices are designed with security in mind, with the help of said experts. Houston is a metropolitan area populated by over 7 million people making it larger than many independent countries around the globe. With its (almost) $500B GDP, it also represents the 17th largest economy on the planet. Until recently, there wasn’t any conference held locally that could provide business owners, company directors and C-Levels alike with a proper perspective on cybersecurity governance. These groups of people need to understand the business of cybersecurity; not the ins and outs of hacking. A place like Houston, clearly, needs its own conference geared towards such topics, approaching the issue from a governance standpoint and not from a techie’s point of view. Houston Cyber Summit and Cyber Houston offer just that – an opportunity for executives to learn about the issues of cybersecurity articulated in their own language; a platform for peer-to-peer discussions on issues faced across a broad spectrum of verticals; and clearer insights into why and how they should care, and what action steps to take. 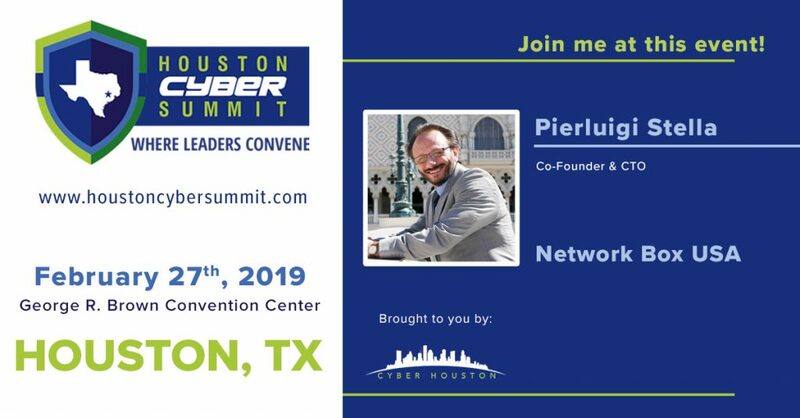 We, Network Box USA, are very proud to be a sponsor of the second edition of the Houston Cyber Summit which takes place on February 27th 2019, at the George R. Brown convention center in Houston. This marks the third annual installment of the summit, and it continues to experience rapid growth year on year. Next month, we anticipate close to 1000 attendees, and are faced with the happy problem of potentially needing to expand it across two days.  Even now, we’ve designed separate tracks based on industry-specific needs, something we introduced because of numerous requests for specialized topics. Clearly, the growth of the conference since its debut in 2017 is testament to the quality of speakers and the information it delivers. We’ve had Houston’s DA, Houston’s Vice DA, and Houston’s Sheriff deliver opening and closing remarks. We’ve hosted emeritus professors from various local universities, and countless industry experts. All of them have provide invaluable discernments on the governance aspects of cybersecurity. The fact that not only are past attendees returning, but they’ve also been our greatest advocates in spreading the word, inviting their peers, very eloquently expresses the great value this summit offers. And when you deliver value, growth is exponential. As for me, I’ll be moderating a panel of experts discussing the importance of cybersecurity for small health care practices, the importance of a properly executed Security Risk Assessment, what to do once the assessment is conducted (spoiler alert, it’s not “sit on it and ignore it“), and how the law applies not just to large medical institutions but to all medical practices, size notwithstanding. On that note, I would like to extend a personal invitation to all of you to come attend the summit. I guarantee the wealth of information you’ll derive will be invaluable. All the necessary (actionable) tools necessary to survive thrive in an era whereby cyberattacks are no longer “if’s” but rather “when’s”. Because of how important this topic is within today’s IT-driven landscape and how much I truly believe you stand to gain from attending, we’ve put together a special discount code (see below) which you can use for yourself. Your colleagues. Anyone whom you feel will greatly benefit from attending the Houston Cyber Summit. I’m really looking forward to seeing you there next month. Don’t forget to come and say hello if you do.